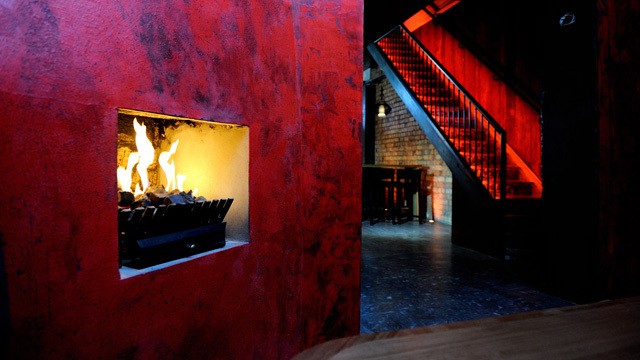 Mekong Baby is a vibrant overflowing bar and restaurant along Ponsonby Road. With the use of vibrant colours and textures throughout the space, James Russ wanted to create an atmosphere that accentuated those colours and spaces. High output RGB LED was used throughout the space with a DMX controller to create a perfect blend of colour that transitions from day time dining to night time. The above bar lighting needed to be simple and focused. Mild steel rods hang down with a warm white bulb lighting the bar and patrons.